1) Repeal laws that force me to unload and case my sidearm while traveling in a vehicle in the State of Wisconsin. 2) Remove the patchwork of School Zones and related gun bans so armed citizens may travel freely, without fear of crossing into a “criminal safe zone” and face prosecution. 3) Repeal Wisconsin’s ban on carrying concealed weapons. WGO urges you to support both a voluntary “Shall-Issue” permit-to-carry system and a “Vermont-Style” concealed carry provision. 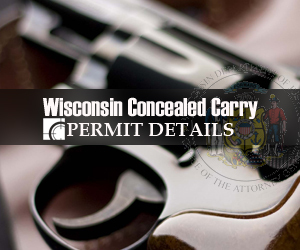 The former would allow Wisconsin citizens to travel to other states which enjoy concealed carry reciprocity via a permit-to-carry. The latter would strike the ban on Carrying Concealed Weapons (CCW) from the books yet would not require citizens to get a permit if they choose to exercise their right to bear [concealed] arms. This concealed carry system mirrors the Alaskan model. 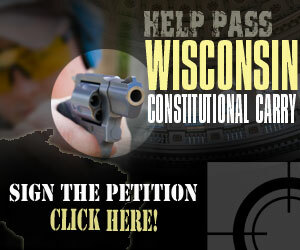 Wisconsin Gun Owners, Inc. (WGO) will keep me informed of your actions. Reminder: Have you made a donation to Project: Open Carry?